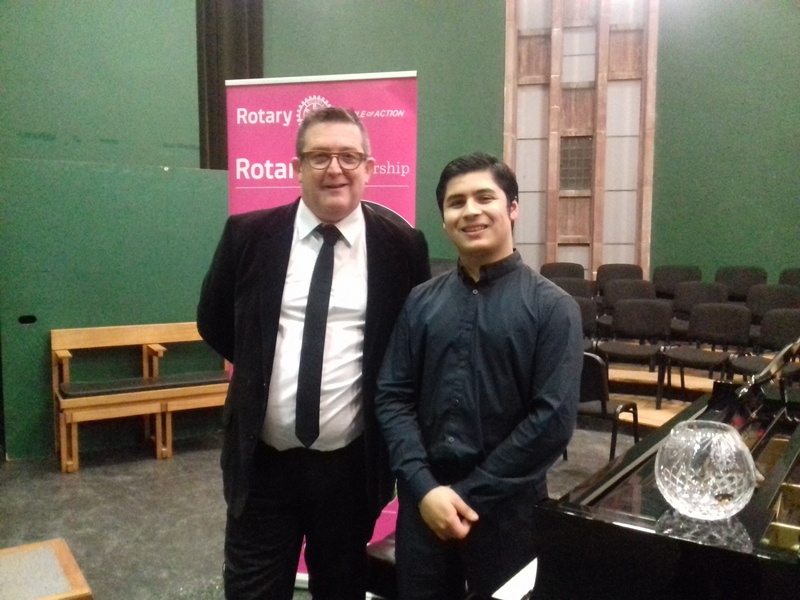 The 2019 Northern Ireland Young Musician of the Year is Rowel Friers who is a student at Sullival Upper School. Rowel started his first formal piano lessons with Mrs. Christine Isdell at the tender age of five years old and has enjoyed creating music on the piano ever since. From the age of 9, he has regularly performed in Stormont Buildings and other places to help charities raise funds. Today he enjoys playing a wide-ranging repertoire from classical to jazz, extrovert to intimate, bravado to reflective and has been performing concerts since he was five years old. Among his many achievements Rowel has Distinctions in all the ABRSM graded examinations for piano, all attained before the age of 14. In addition, he has distinctions in ABRSM Theory. He has recently attained the Licentiate of Trinity College London (LTCL) and in 2017 he received the highest marks ever awarded in the province for the Associate Trinity College London (ATCL). Rowel is pictured here with radio presenter John Toal.